Thank you all for your fabulous response to my dining room make-over. I'm so glad you like it as much as I do. But now, it's a new month, which means it's a time for a new PCH theme. My idea for May was to bring spring into our homes as the weather had been doing precious little to make it feel like spring around here. In my post I showed you my crochet flower and since then I've made some Petal Coasters and my flowery Dresden's for Dinner. I hope you found a way to make your home feel a little more spring-like too. Due to all the decorating I got up to in May, some planned and already paid for, some unplanned and un-budgeted for, I'm looking to get back on track this month by looking for some free or virtually free ways to spruce up the home. So how do we get something for nothing? 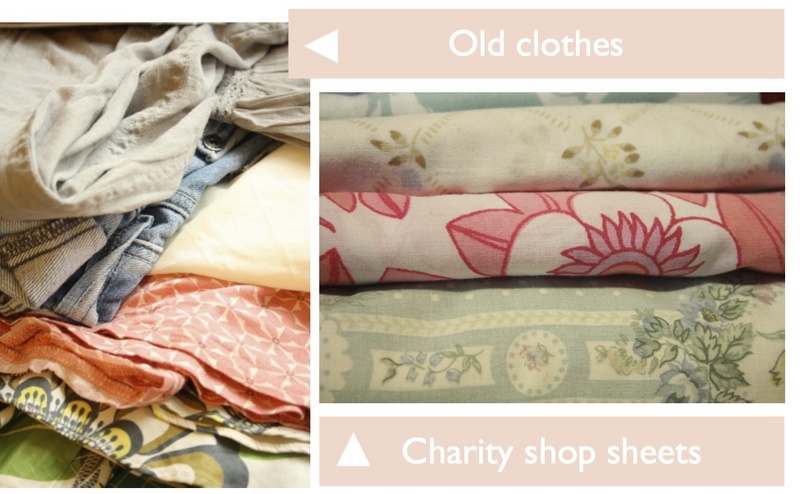 Keep old clothes, bedsheets and curtains for fabric. Old jumpers and cardigans can sometimes yield a 'new' batch of yarn. Old clothes can also be a good source of buttons and pretty trims. Unwanted jewellery can be broken up for beads. 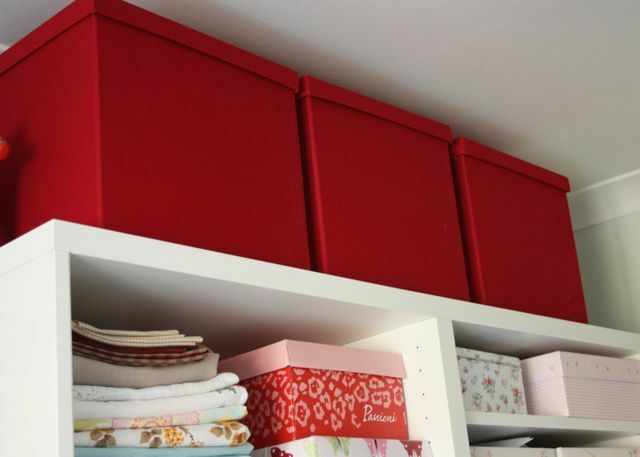 Cardboard boxes and shoe boxes can be turned into great storage. 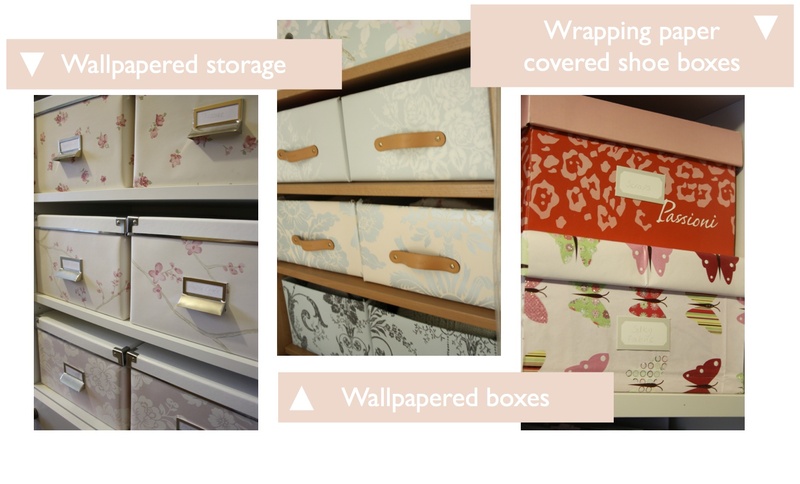 Left-over wallpaper can be used to cover boxes, folders and books. 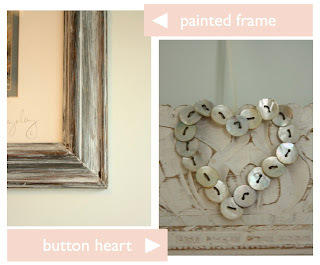 Left-over paint is an easy way to spruce up picture frames, shelves, furniture and all manner of things. Friends and family can be another way to get hold of useful, used things. Maybe you don't feel right asking for their 'rubbish' but once people know you can and do make use of these things they are often only too pleased to offer them to you. We all hate to throw things away so you can ease someone else's conscience by assuring them it'll be put to good use. My family rarely throw any clothes, curtains or bedlinen away without asking if I want it first. Bless them! Charity shops and thrift stores are a great place to grab a bargain. You need to check them fairly regularly and not expect a bargain every time. But you can get some gems. 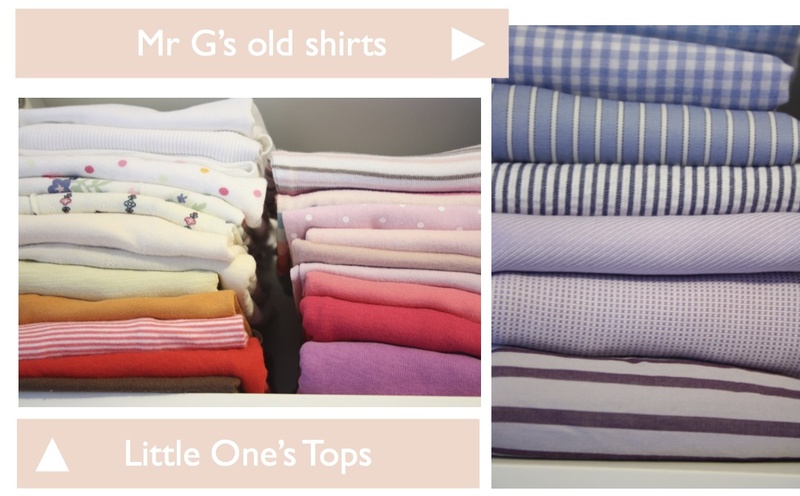 They're a great source of old clothes, bedlinen and sometimes curtains or small pieces of furniture. Car boot sales are well worth a browse too, especially if you get there early. If all else fails and the only place to get what you what is from a shop, then wait for the sale or keep the remnants bin. It's a great way to get an otherwise expensive treat at a good price. Laura Ashley in particular has great sale discounts, and it's a good time to get your Cath Kidston fix too. My sewing machine cover was mostly made from Little Miss's old clothes. I used old emulsion on my foot stool and tables. An old dress became an apron. I white washed my bathroom picture frame with left-over paint. 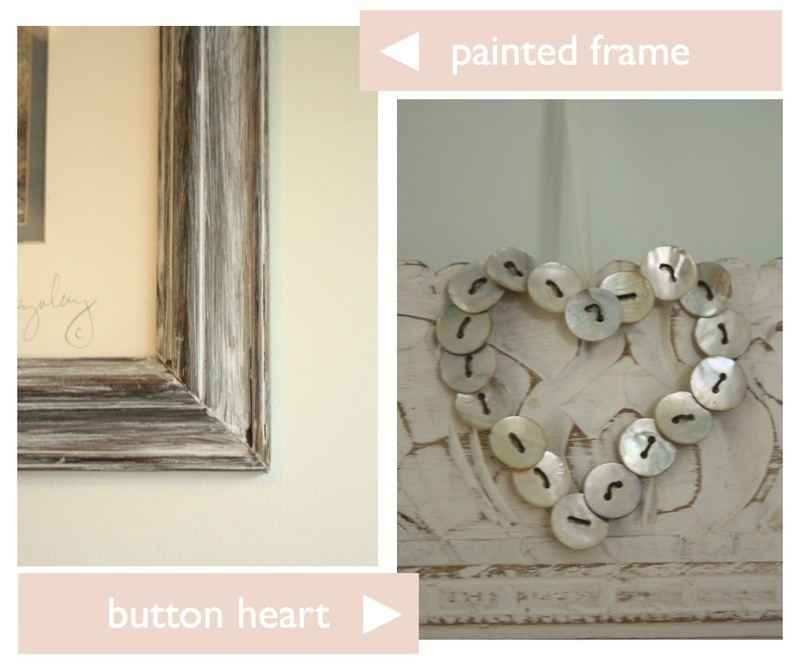 I used old shirt buttons to make a decorative little heart. Beads from an old belt became weights at the ends of my raining hearts. Something I do very often though, is cover up plain, boring old boxes with pretty and colourful wallpaper. I do it with Ikea boxes, all kinds of storage and cardboard boxes. I even use old wrapping paper and shoe boxes. I didn't realise it until I started writing this post, but I'm kind of obsessed with it. That's what I'm planning to do in June too. I'm going to use the left-over wallpaper from the dining room to cover the boxes in my craft room. Although red is a fabulous colour, it's a little bright in this room and anyway, I just can't get enough of that wallpaper. It'll be another tick on my Hit List if I get it done. Why don't you see if you can craft something pretty for your home for free this month too? Share photos of your free or thrify makes, or just share your next to nothing crafting tips with me at the PCH Flickr group. Ooooh now that sounds like my type of challenge! Right, I'm off to have a wander round the house to see what I can re-purpose and make pretty. Wishing you a fun Friday. That is what I like doing best of all -- Making something from nothing! I just get such a kick from seeing something transformed! I too have a slight! fetish about covering boxes! What a great post with so many good ideas! Thanks for the inspiration. 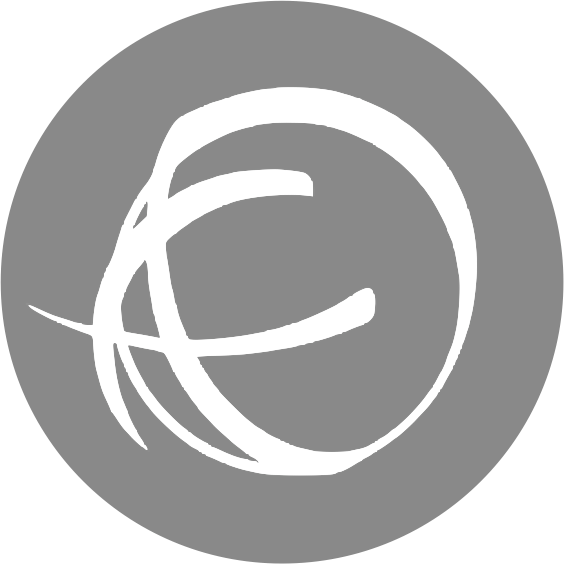 I've added you button to my blog! This is a lovely idea, I've kept so many pretty clothes of Little Miss' and can't wait to try and turn them into something new! This is going to be a great and interesting phase...Looking forward to see what we can do. I have been majorly lacking on the pretty crafty home front but I think I am up to this challenge, I have a suitcase full of old clothes begging to be reused! Hello Sandra - arrived here from....erm, checking back...Victoria's blog. And very pleased I did too. Lovely colour scheme - you know at once, don't you, when you are going to love someone's blog? Haven't checked out your entire archive yet...but love this post, and think your dining room is brill now you've changed from the red wall. Also I love your Dresden Plate place mats...it's those little touches of quilting which make them look so scrummy in the photos. Pretty, pretty! Just off now to do the 'follow' thingy, nice to find another great blog! Lynne. I work with a lot of cables and wires at my job, and some of the terminals come in these great little plastic boxes with flip-tops. Normally they would just get tossed in the garbage, but I talked to my team and have them saving them for me. GREAT for beads, buttons, etc! That post is right up my street. I rarely through things away although I'm not a hoarder, I just always know that there will be a use for it later. And it isn't adding to landfill which can only be a good thing. I'm definitely with you on papering boxes, just last night I covered a nappy box with some cheap wrapping paper from Ikea and it's now storing my yarn. Thanks for the inspiration, you always have such great tips. I haven't posted in ages but I've loved everything you've done recently. The dining room makeover was my favourite! Olá,!Adorei o seu blog e já estou te seguindo,quero te convidar a conhecer o meu. I am Sophie from Greece!! 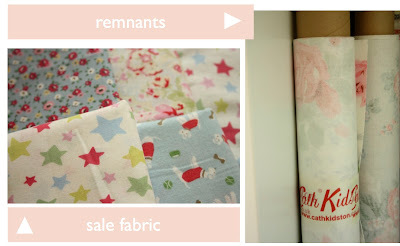 I love your blog, you are making beautiful things! !I am one of your followers now! !I wait you to come to my blog too! !I will be very happy to see you! !Kisses and hugs!!! Thanks for your visiting and your lovely comment!! Would you like to be my follower too so i can find you easier and leave you comments ok? Kisses!! You take something old and make it new, but you have to use a new material too (it can be anything from a piece of fabric, to a zip to a new button...). I wonder if your readers would be interested... there is a prize, perfect for further PCHing in the future!